Publicity veteran Jerry Digney landed his first PR job in New York in the 1970s promoting the wonders of The Greatest Show on Earth. Since then, there have been many greatest shows and clients on earth. One of the entertainment industry’s last remaining independent publicity firms, Digney & Co. Public Relations celebrates its tenth year. Adding muscle to its outside talent ranks are PR consultants, Marcia Newberger, former public relations head of the Griffin Group of Companies and Merv Griffin Entertainment, and Arlene Winnick, a noted publicity executive in the travel and tourism industries. “We each bring decades of in-the-trenches publicity experience to the table,” says Digney, veteran personal publicist himself to a host of past and present icons, from Ray Charles to B.B. 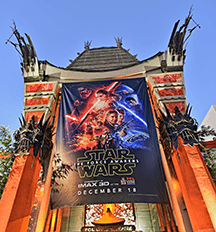 King to Bob Newhart, TCL Chinese Theatre and its STAR WARS® openings, Universal Studios Hollywood and Madame Tussauds Wax Museums. In recent years, the new firm has headed over 150 notable PR campaigns and events featuring Universal’s ground breaking King Kong, Lady Gaga, Betty White, “Glee,” Katie Couric, Jimmy Page, Josh Groban, Cindy Crawford, Robert Redford, Gwen Stefani, Fox Home Entertainment, Sony Home Entertainment, the Guinness Book of World’s Records, Curtis Mayfield, Aaron Neville, The Neville Bros., SMOSH, NASCAR, and the gala of Hollywood galas, The Carousel of Hope. Betty White gets naked at Pink's Universal City Walk. “Genius Loves Company” and got the late Pope named an honorary Harlem Globetrottter. And, let’s not forget the opening of the famed Pink Hot Dogs’ first stand outside Hollywood with Betty White on hand for the ribbon cutting! 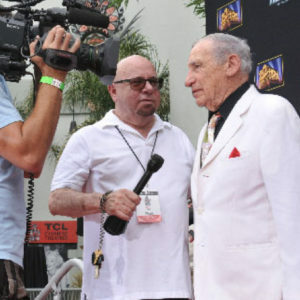 Starting in the 1980s, Digney served as Executive VP of Solters/Roskin/Friedman and via Solters was the first-ever director of publicity for Feld Entertainment (producer-owner of Ringling Bros.-Barnum & Bailey Circus). He also partnered with fellow PR-pro Newberger on Nestlé-owned Vittel mineral water in the U.S. and Regent Air (later MGM Grand Air). Among its many past and present sports clients are the NBA-affiliated Summer Pro League, the Boston and Los Angeles marathons, Warren Miller’s award winning ski documentary series and ESPN’s 25th Anniversary, sports companies, like Asics-Tiger, Fubu and Reebok, and multiple Summer Olympics featuring various star athletes, such as multiple Gold winning swimmer, Gary Hall, Jr. And, of course, the firm has worked with every major promoter, from Don King to Bob Arem, and represented and worked with any number of pro athletes, including Jason Kidd, Mike Tyson, Evander Holyfield, Jim Brown, Magic Johnson, Tommy Lasorda, etc.